Leen Vandecasteele is an Associate Professor in comparative social policy and the life course at the Life Course and Inequality Centre (LINES) of the University of Lausanne. 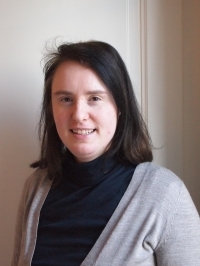 She obtained her PhD from the University of Leuven with a thesis on poverty dynamics and social stratification. After that she was a Postdoctoral Fellow at the University of Manchester, a visiting fellow at the Harvard Multidisciplinary Program in Inequality and Social Policy and a Max Weber Fellow at the European University Institute in Florence. From 2012 – 2017 she worked as a Junior Professor at the University of Tübingen. Her research is in the areas of inequality, poverty and social policy in the life course.